One QuickSafe ampoule captures 98 % of the mercury from a cremation! of the mercury from a cremation! During a cremation, the mercury contained in dental amalgam is released into the atmosphere to become a serious environmental hazard. The large quantities of mercury emitted by crematoria far exceed levels permitted for industrial processes. QuickSafe® ampoules solve this mercury problem. Each ampoule contains a certain amount of selenium (Se). When placed on top of the coffin, the selenium is gasified at the same cremation temperature as mercury (Hg) in amalgam. The two react chemically to form mercury selenide (HgSe). A stable and insoluble compound which is environ-mentally neutral. Mercury is the most environmentally dangerous of all heavy metals. In a cremation, the mercury in dental amalgam is gasified at 650o C, and released into the atmosphere with chimney gases in 10-20 minutes. It later falls back to earth as a poison. The patented QuickSafe® method traps this mercury, and also reduce diffusion of dangerous mercury through ceramic refractory lining. The selenium impregnates the ceramic lining and the Hg-reduction will be optimised after approx. 50 cremations. A QuickSafe® ampoule contains selenium. It is placed on the head of the coffin before it enters the incinerator. The selenium in the specially-designed ampoule is gasified at 650o C, the same temperature at which the mercury leaves the amalgam. 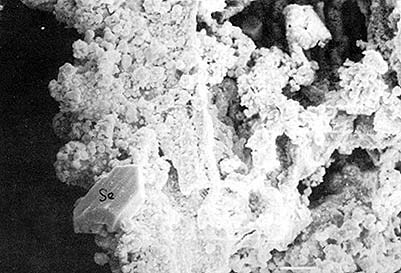 The mercury reacts chemically with the selenium to produce mercury selenide in the form of greyish crystals. Combined with a dust filter or cooling coil the crystals remains in the crematoria. The QuickSafe® method doesn´t simply move the mercury problem somewhere else. 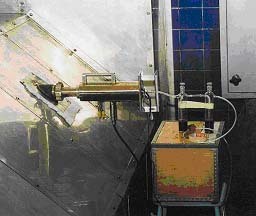 The mercury selenide produced by combining mercury with selenium is harmless to the environment, and no subsequent treatment is necessary before dumping. 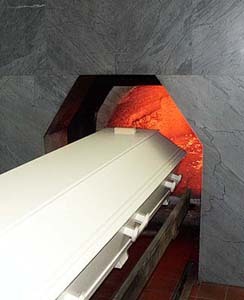 The QuickSafe® method also may very well be used by crematoria equipped with charcoal filter to reduce diffusion of mercury through ceramic refractory lining. The mercury also will become chemically bounded. QuickSafe® deals with the mercury problem once and for all. Similar independent tests at other crematoria have confirmed that the ampoule captures 98 % of the mercury. The QuickSafe® method itself requires no capital investment in crematorium equipment whatsoever, the only cost is that of the ampoules. The QuickSafe® method is used by several crematoria in Sweden and mentioned in “Bransch fakta for krematorier”, published by the Swedish Environmental Protection Agency.